Oxford has been named as the world’s best university in the latest Times Higher Education Rankings. It’s the first time a British institution has topped the list. 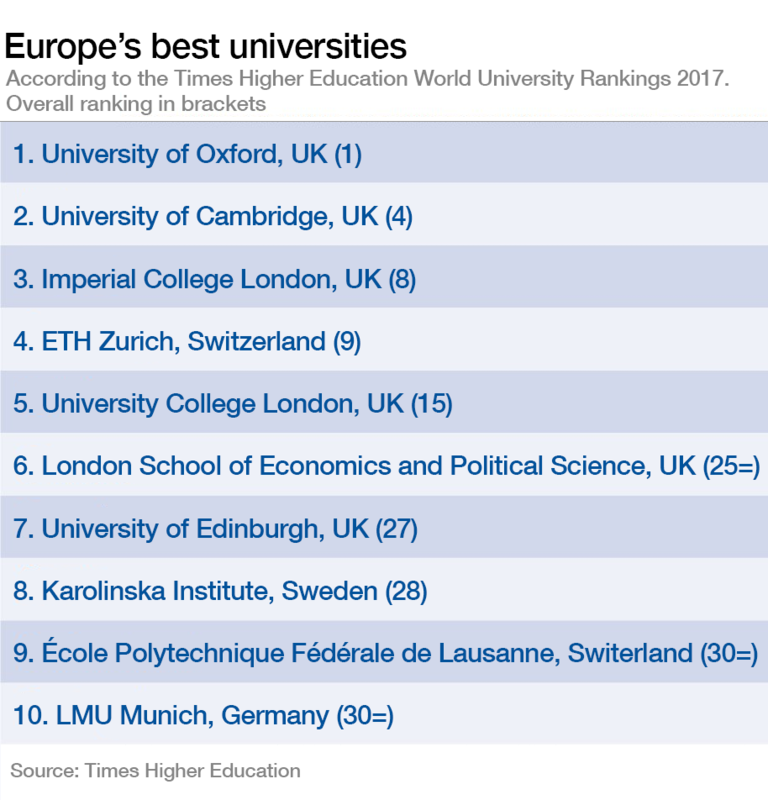 Just three other European universities make it into a US-dominated top 10, though – and only one from outside the UK. So, which are the best in Europe? Looking at European universities, Oxford is followed by Cambridge – second in Europe (and fourth in the world). Another British institution takes third: Imperial College London. In fact, six of the top 10 are in the UK, Switzerland has two, and there's one each from Sweden and Germany. Which are the world’s best young universities? This UK dominance begs the question, what would the list look like without British institutions? Take away the UK, and you have to go all the way down to 63rd in the global list to complete the European top 10. The change sees three additional German, one Belgian and two Dutch institutions making the list. 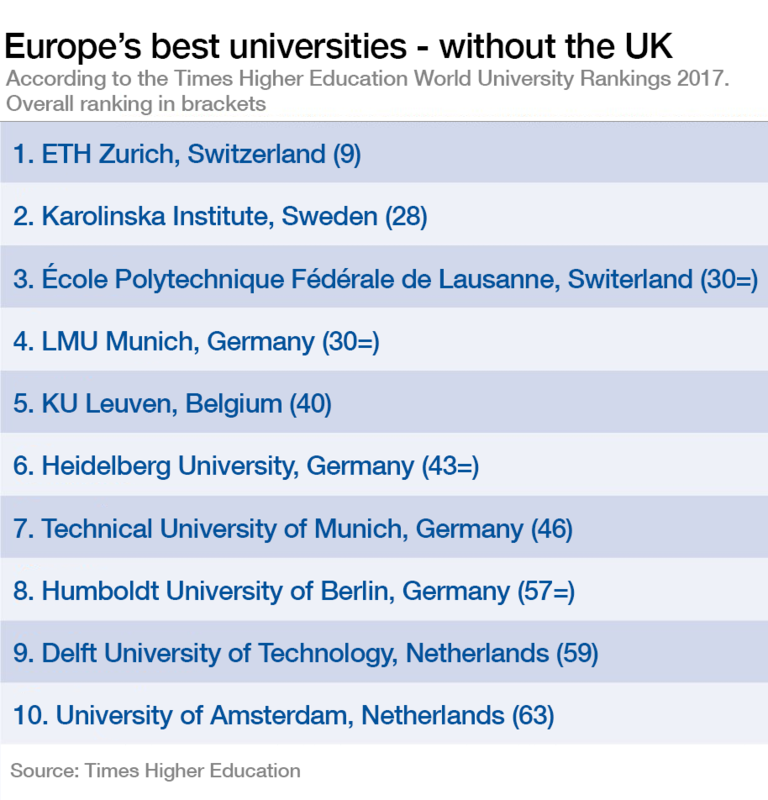 According to Times Higher Education , Germany performs well as a result of the highly influential research produced by its institutions. However, many European institutions have lost ground this year. “Institutions in France, Italy and Spain and many parts of central and eastern Europe are losing ground as Asia continues its ascent,” Times Higher Education write. The US has the most institutions in the overall ranking of 980 universities, with 148. They are followed by the UK with 91. 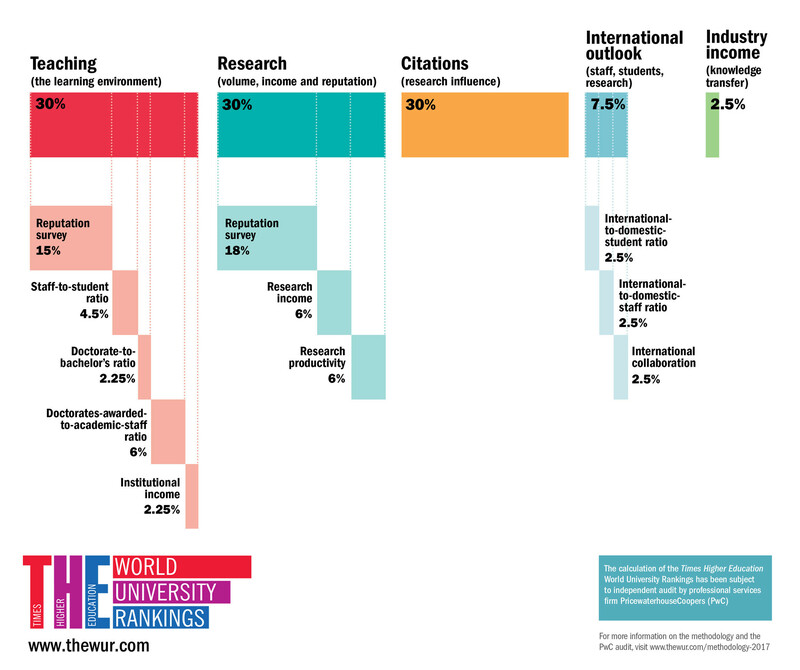 The ranking assesses universities on 13 indicators, grouped into 5 areas: · Teaching, Research, Citations, International outlook, and Industry income.